The Figure Skater's Website and other sites in the sk8stuff family of skating sites are produced by Don Korte for Korte Web Services, LLC. I am a (lapsed) figure skater and a member of USFS. I have 2 grown children who had great skating careers, and I am an appointed Gold Singles/Pairs Judge, Bronze Dance Judge, and Regional Accountant for USFS. I am a member of the Ice House SA in Michigan. 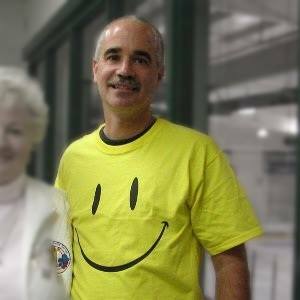 I've produced this site to help share what I have learned as a parent and a skater, to help other parents and skaters to cope with this expensive and time consuming hobby. The Figure Skater's Website has been serving the skating community since August of 1995. This site is not an official site of United States Figure Skating, nor is it or its content officially endorsed by the Association. I've tried to correctly state all facts, rules, and insights, but my words here carry no "official sanction". So if you find any errors here, the problem is mine, and neither the fault nor the representation of United States Figure Skating. Please feel free to contact me at any time to ask questions, make suggestions, or just to chat. By the way... I get quite a bit of email. And I'm not real good at multi-tasking. So sometimes emails fall right off the bottom of my inbox screen before I surface from whatever project I'm immersed in to notice them. So if I seem to ignore you, don't take it personally, just know that I'm an imperfect human being but I'm trying to get better. And go ahead and email again if I don't respond.